Located in Silverdale­, north of Auckland, we supply and install a large range of wood burners and gas fires. Huge showroom of fires to choose from! 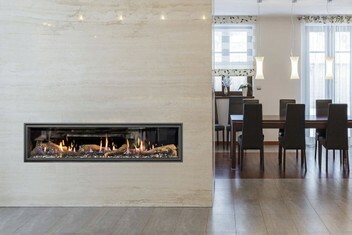 Supply and Installati­on of Wood and Gas Fires. Full service including flues, parts supply and council consent process. Auckland wide, North Shore, Rodney District to Mangawhai north.. Looking to install a new wood burner or gas fire in your home? Come on into Gatmans Mowers&More in Silverdale where we have a huge range of over 60 fires on display instore. We offer a full supply and installation service to save you time. Our registered and qualified installers will do a superb job for you and we can also take care of the council consent process. We also have a very large range of outdoor garden equipment, farm machinery, mowers, Weber BBQs, mobility scooters and lifestyle products. Come on in and check us out! Suppliers of the following brands: Warmington, Metro, Pyroclassic, Firenzo, Bosca, Jayline, Woodsman, Hunter stoves, Nectre, Escea, Rinnai, Infratech Heaters and more.